The kosher restaurant scene in Israel is vibrant and ever-changing. 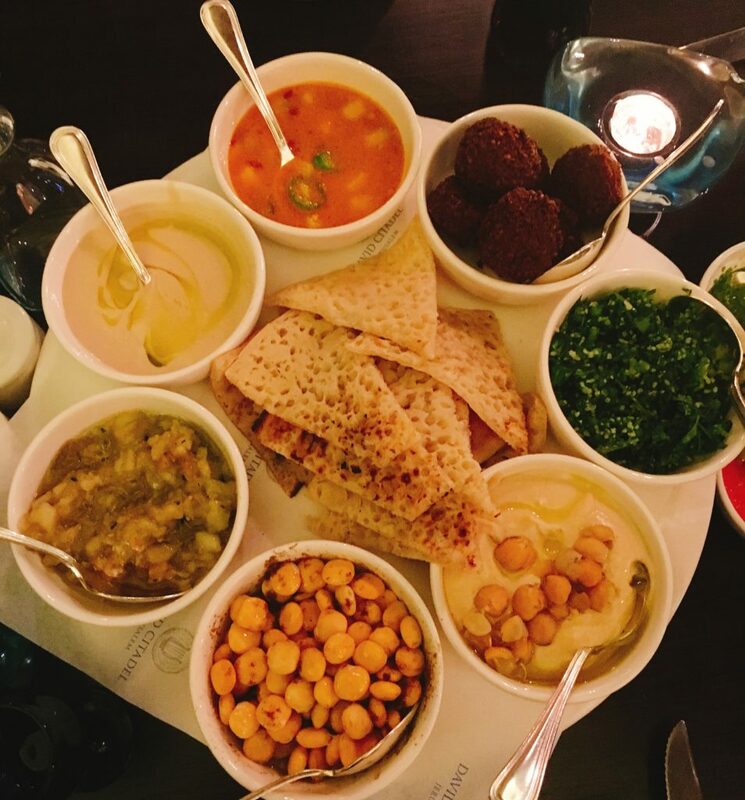 The news here is a roundup of kosher restaurant openings and closings from around Israel by Jerusalem-based restaurant critic Debbie Kandel. Arais Machneyuda opened near Machaneh Yehudah. For those not familiar with arais, they are pita pockets, filled with ground meat and toasted on a grill – yum! Scala restaurant has re-opened in The David Citadel Hotel. The previous restaurant was a fine-dining concept but the new restaurant serves traditional, Jerusalem food using modern techniques. The hotel chef, Avi Turjeman, designed the menu to be simple and fresh while offering authentic local food. Click here to read a full review. Sweet’n Karem has opened a new kosher coffee shop in Ein Kerem, with space for chocolate workshops. The packaged chocolate has always been kosher, but the shop itself used to be open on Shabbat. The new café is the only kosher option available in Ein Kerem and includes seating in a scenic courtyard. Café de Paris in Rehavia has closed down as the building is being developed into apartments. 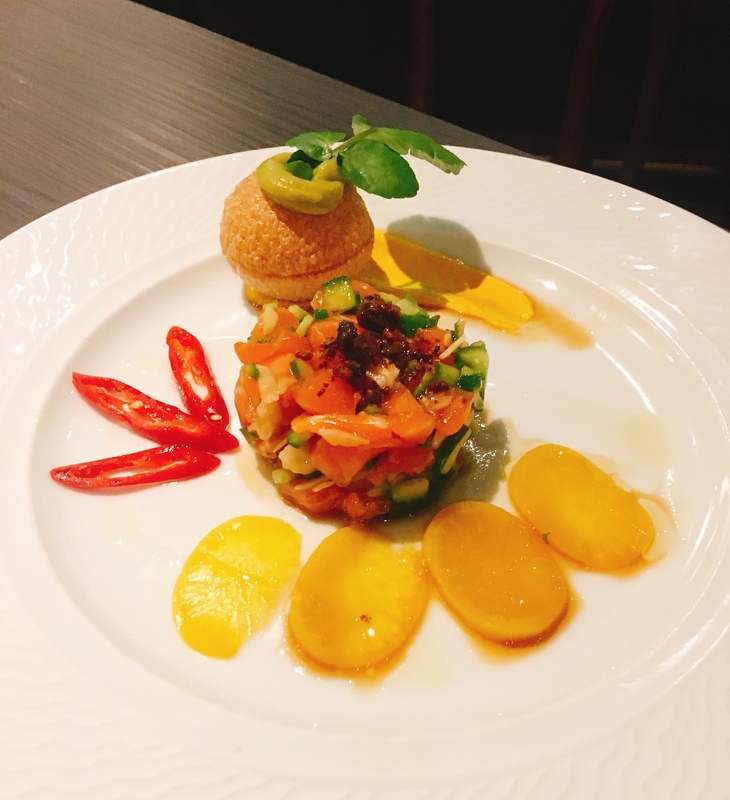 Café de Paris’s sister restaurant Grand Café in Baka is still open, read more here. 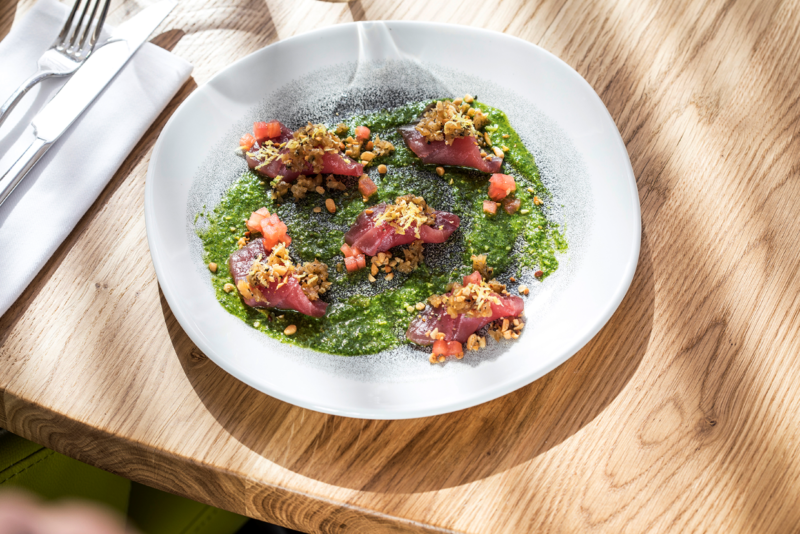 Malka, the new restaurant by Chef Eyal Shani, is the biggest news in the kosher culinary scene in Israel. 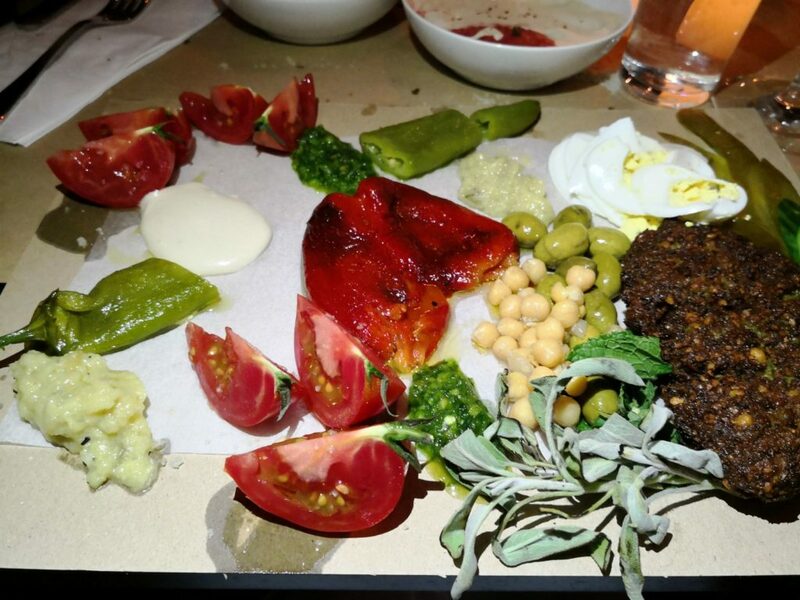 It is definitely worth trying but there were quite a few issues when I went, most are probably because they are still new so I will reserve final judgment for now; This is Chef Eyal Shani’s first kosher restaurant in Israel. Read here more information and here for my review and photos. Deli Fleishman has closed inside Sarona Market and is now across the road at 112 Derech Menachem Begin. 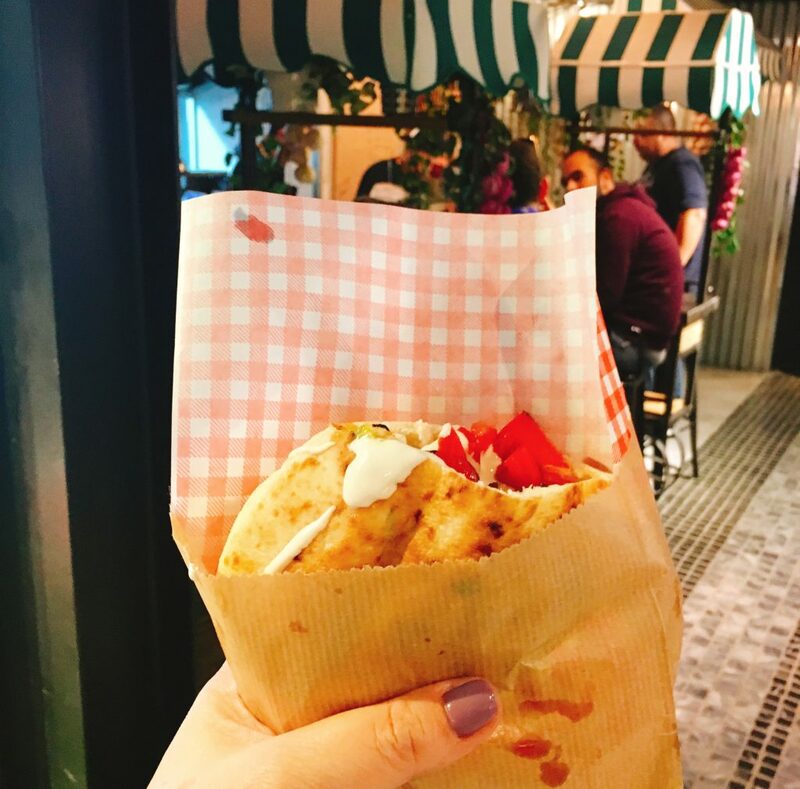 Pita Basta has opened in place of Fleishman in Sarona Market. The menu has a number of interesting items. I tried the Heavy Pita (NIS 34) which was grilled chicken liver, silan, lemon sauce, tahina and other delicious toppings. They also served a dessert Pita Loti (NIS 10), a crispy grilled pita with nutty chocolate and banana – sounds delicious! Ludens Express vegan restaurant has opened in the Sarona complex. Whiskey Bar Museum in Sarona has opened a cigar bar called Walter Bar on the upper level of the restaurant, with a nice terrace area. Chef Meir Adoni has opened a new chain of Middle Eastern fast food restaurants, called Dunya. 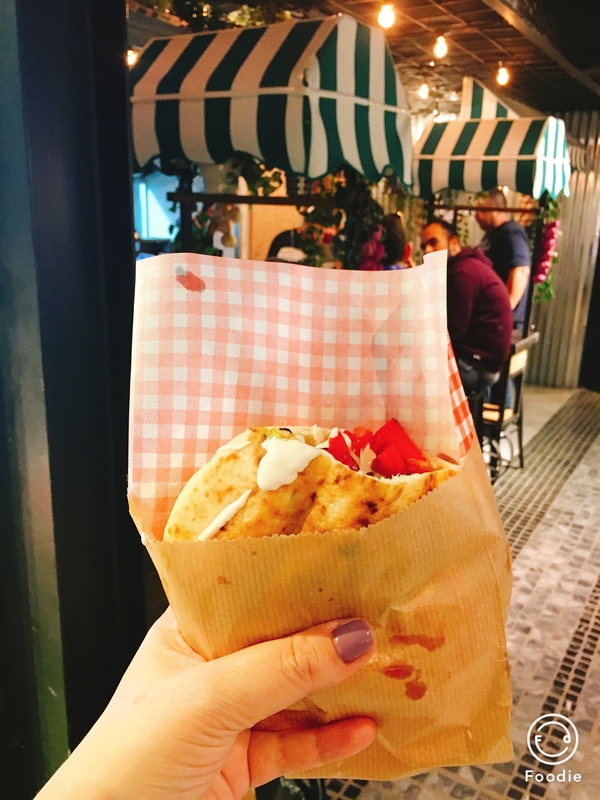 The first branch opened in Ramat Hachayal in mid-February and eventually, Adoni aims to bring his food to the whole of Israel, including Nazareth and Rahat. The prices will be higher than most fast-food chains but all the dishes are designed by Adoni himself, using high-quality ingredients. Read more here. Zakaim vegan restaurant has become kosher after a year in business. Racha Georgian Restaurant is kosher once again. In 2016, Racha closed in Jerusalem and reopened in Tel Aviv non-kosher. Less than two years later, they have returned to their kosher status – with a menu, similar to the one they had in Jerusalem. I remember the food to be interesting and tasty, but the service to be temperamental. Chiripom by Chef Avi Levy has closed in Tel Aviv. He has decided to focus all his time on his Jerusalem restaurant, Hamotzi. Biga in Sarona Market has become Mehadrin, just like the branch in the Fashion Mall. Luciana has opened a new branch in Modi’in. The decor looks beautiful, but I hope that the food and service are more like the original Emek Refaim branch than the Mamilla branch, which is notorious for the terrible service. Etz Halimon is a new dairy restaurant in Hod Hasharon. As well as a traditional Israeli breakfast, menu items include Nicoise salad with seared tuna, burrata, gnocchi with chestnuts, parmesan and truffle and whole sea bass with roasted vegetables. Bastia by Chef Sharon Gabay has opened in the Raanana Mall. The street food restaurant offers a Mediterranean menu. Dishes include freeneh with falafel, arais, and Arab dishes like freekeh, root vegetables and meat, vegetarian stuffed dishes. Chef Uri Arnold (owner/chef of Arnold’s) opened a meat Greek Tavern on the beach in Netanya called Souvlaki. As well as meat dishes, the menu includes traditional Greek dairy dishes, using parev versions of feta and yogurt. Moshe Segev opened in Netanya, which follows the opening of Segev’s first kosher restaurant in Beer Sheva a few months ago. BP Kosher Bistro from Haifa has opened a second branch in Netanya and like many great restaurants in Israel; it is located in a gas station! Atmosphera is a new grill restaurant in Ashdod. The menu includes a selection of small tapas dishes, Mediterranean style starters, as well as fish and meat main courses, such as baby grouper, green seabass, asado on the bone, a burger with a selection of toppings and various steaks, here is the full English menu. 5th Avenue by Chef Aviv Moshe is newly kosher and brings an interesting option to the Eilat kosher dining scene, after many years of having the same few options of hotel steak restaurants. Click here to read a full review. Karibu by Tel Aviv’s David Ve Yossef has opened in the Eilat’s Queen of Sheba hotel, in place of Chicago. Roberg on Moshav Livnim has closed. It is not clear why but the family-run business has been popular for many years but it seems that the family has decided to close for good. Debbie Kandel is a food writer for The Jerusalem Post and her own personal blog, Debbest Israel. She also manages two Facebook groups for restaurant recommendations in Israel, Restaurant Club Jerusalem and Restaurant Club Israel. Debbie has been living in Israel for 10 years but is originally from London. She works in marketing and business development for a large international law firm.